Pixy (http://cmucam.org/projects/cmucam5) is a vision system that can be used to add computer vision to your Arduino, Raspberry Pi, or BeagleBone project. Once you have taught it the color to detect, it can send you the position and size of the detected objects. To configure pixy and to see what pixy sees, an application called pixymon (http://cmucam.org/projects/cmucam5/wiki/PixyMon_Overview) can be installed in your computer. 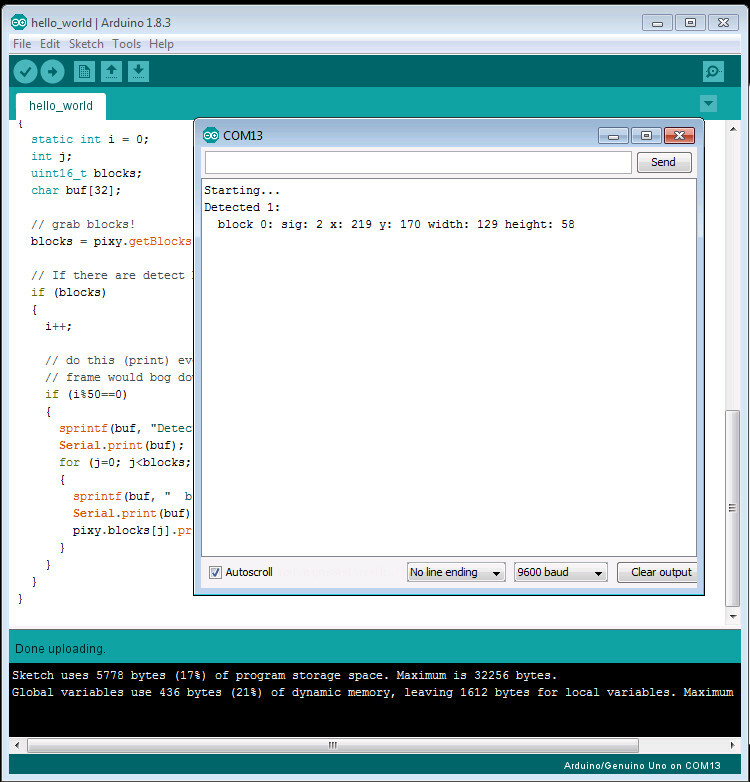 For Arduino, there is a library - "arduino_pixy-x.y.z.zip" (http://cmucam.org/projects/cmucam5/wiki/Latest_release). The output of ‘hello_world’ example included in the library can be seen as follows.